Another Day another layout share! I really really need to start paper scrapping again and get caught up with Project Life, but seeing as how my work table is buried under 3 tons of the girls stuff while we paint Gwen’s room and clean out Lilys…paper will have to wait, digital it is! Kit for both layouts: “Land of Nod ” from Little Feet Digital Designs. I love love love the beautiful colors in this kit, and when I saw the sheep paper…hello layout about lambie! I’ve been looking around at the older photos on my hard drive and came across these cuties!! Getting ready to do the big back to school/yesterday today post on Monday because the girls start HIGH SCHOOL !!!! I can’t believe where the time has gone, obviously it’s flown because wasn’t it just yesterday they were these cute little munchkins!? OMG so cute. 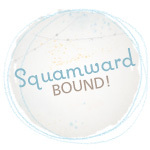 I used another template from my Masterful Scrapbooking Design membership at Get it Scrapped. Debbie has just re-vamped her site and re-organized what was already a super collection of classes and resources and now it’s even better if that’s possible!! Go and check it out! and as a bonus, since the girls have left on a camping trip for the weekend, I thought I’d play with some filters in PSE and the beautiful stamp and sparkles in the kit….and what better for a kit with a sleepy theme? A layout about not sleeping! I’m hoping its just a phase 😉 But I wanted to do something simple for this layout and I’m really pleased with how it came out! Yes, I’m still working on Week in the Life but have been so busy, have not had time to post about it! Now off to paint Gwen’s room before she comes home! Thanks for stopping by… More goodies in the works, what projects are you working on? I’ve been doing a LOT of digi-scrapping lately and I think these are the last two layouts I have to share from the backlog. 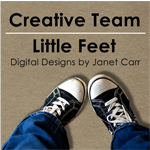 Kit for both layouts: “Little Inner Minds ” from Little Feet Digital Designs. I just love the fun bright colors of this kit and all those lovely embellishments! I love this template for all the circular elements. It was perfect to showcase all the awesome journaling strips and (swoon) badges that come in this kit! I don’t really make a lot of layouts just for fun, I’m usually trying to tell the story but I took this opportunity to just have fun with making something and I really like the way it came out! More layouts to come, am trying to stay up to date with posting 😉 What are you working on in your corner of the world?